The availability of next-generation sequencing technologies in the past years has allowed unprecedented access to draft genome sequences for the main crops and plants. These genome sequences offer new possibilities for studying genome evolution, for understanding the biological processes controlling important traits and for improving plant breeding. Among them, the genome of melon (Cucumis melo L.), one of the main cucurbit crops, was released in 2012. Since the publication of the reference genome of the double haploid line DHL92 v3.5, the genome assembly and annotation have been improved in new genome versions. 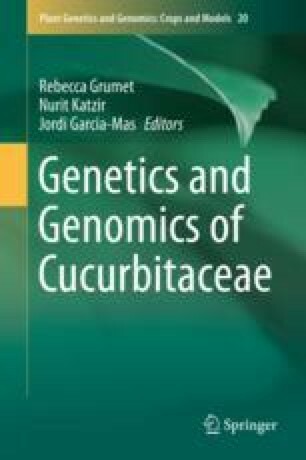 The melon genome has been useful for performing several comparative analysis with other cucurbit genomes, for analysing the genome structure and extant variability and for the isolation and characterization of several important genes.